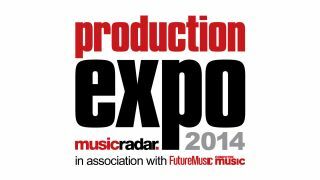 Production Expo 2014, returning for its second year, is set to go live on Wednesday 24 and Thursday 25 September. We've been interviewing an array of music producers about their techniques, studio setups and inspirations, as well as working with a well-known music production school who will be supplying you with free video lessons. In terms of artists, we have some great interviews lined up with the likes of Bob Rock, BT, Fraser T Smith, Ade Fenton, Guy Sigsworth, Todd Terje, Brendan O'Brien, Daniel Miller, Christian Rich, Max Cooper, Cenzo Townshend and Yoad Nevo all talking to us about music production techniques, inspirations, gear and top tips for helping you reach new creative heights. Point Blank has been voted 'Best music production and DJ school' by DJ Mag and is 'the Global Electronic Music School' for producers, sound engineers and DJs. Alongside our own video lesson mini series, Point Blank will be supplying lessons such as 'Mixing dance music in Ableton', 'Stefano Ritteri Mixing Masterclass', 'Ableton Live 9: 30 quick fire tips', 'MAKJ Encore Logic Pro Track Masterclass' and others. The MusicRadar Production Expo 2014, running in association with Computer Music and Future Music, runs from Wednesday 24 September to Thursday 25 September. For more information on Point Blank please visit their official website or connect with them via Twitter, Facebook, YouTube and Google +.